Disclosure: This post is sponsored by Clarisonic + Her Campus. As always, all opinions are my own. It's a rainy Monday in Columbia today, but I'm honestly not that mad about it. I love a good rainy day and we haven't had one in forever. I also thought it'd be a perfect time to go over one of the latest products I've been using for about a month that has helped me clear up my skin. I used a Clarisonic when I was a sophomore in high school and I just think my skin wasn't ready for it at that point. But now that I have a better understanding of my skin, I thought it was a perfect time to try it out again. So let me tell you what I've been using and why I love it. The Mia - 1 + Radiance Brush Head ($129 USD) || This is the actual Clarisonic I'm using. Every Mia 1 comes with the Radiance Brush head. This brush head is perfect for all skin types and is my favorite one out of the three that were sent to me. The Mia has one speed to sonic cleanse your skin, leaving so stinking smooth. It had been awhile since I last tried a Clarisonic, so I totally forgot how amazingly soft my skin could be! Fun Fact: It provides sonic cleansing that cleans skin six times better than hands alone. #dang. I paired my normal facial cleanser with this head and used while I was in the shower. Using a Clarisonic in the shower is certainly the easiest way to use it without creating a mess. 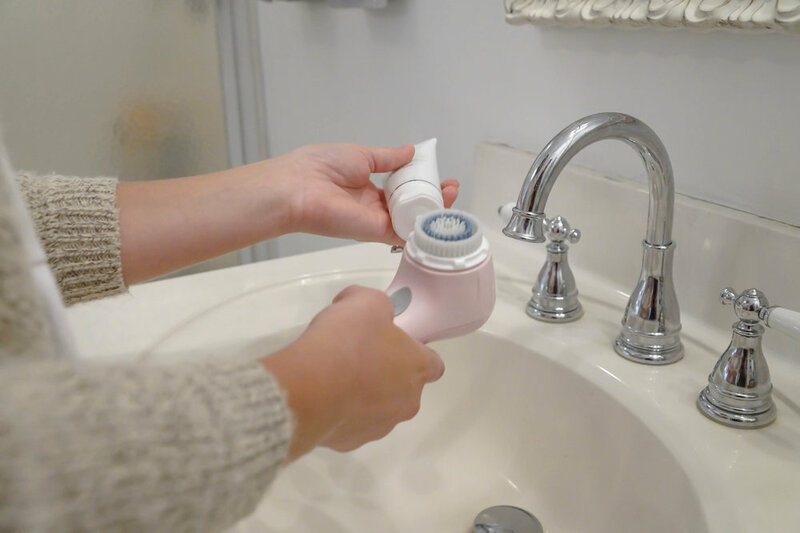 The bristles of a Clarisonic cleansing brush head move back and forth, or "oscillate", gently flexing the skin and flushing water and cleanser into pores. This sonic cleansing process removes the dirt, oil and debris that ages your skin and causes breakouts. 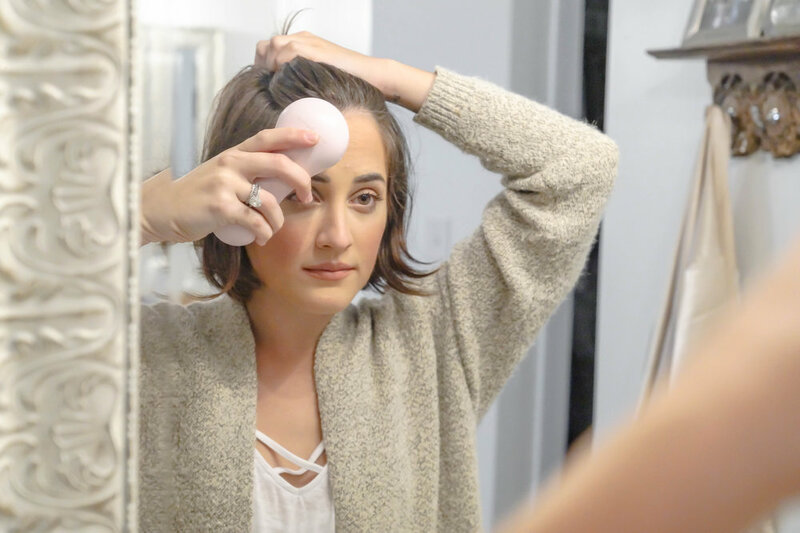 Clarisonic also offers payment plans, too! So if you're approved you can also finance your Clarisonic. The Mia 1 retails for $129, but if you use the link below you can get 15% all devices using code "HERCAMPUS"
The Pore & Blemish Gel Cleanser ($18 USD) || Designed for those with sensitive, acne-prone skin, this all new Pore & Blemish Gel Cleanser targets excess oil, pimples, blackheads and whiteheads for clearer looking skin. The formula contains 2% Salicylic Acid to fight acne breakouts, as well as micro-exfoliating Lipo Hydroxy Acid to gently provide precise cell-by-cell removal of debris and dirt. But because there is Salicylic Acid (and I know how sensitive my skin is) I use this cleanser every other day on my skin to prevent break outs! The Acne Brush Head ($27 USD) || This brush head is designed for oily, acne prone skin. I typically have drier skin so this brush head wasn't my favorite in comparison to the Radiance Brush head. But if you do have oily skin, using this brush head + the acne cleanser should work for you! The Deep Pore Brush Head ($27 USD) || This one was made for those with enlarged pores. The Deep Pore Brush Head is engineered with graduated dual-action bristles to help flush and dislodge oil and debris that clogs pores. I like to use this one once a week to give my pores a deeper clean. When I do use this brush head, I always pair it with the Pore & Blemish Gel Cleanser, too. 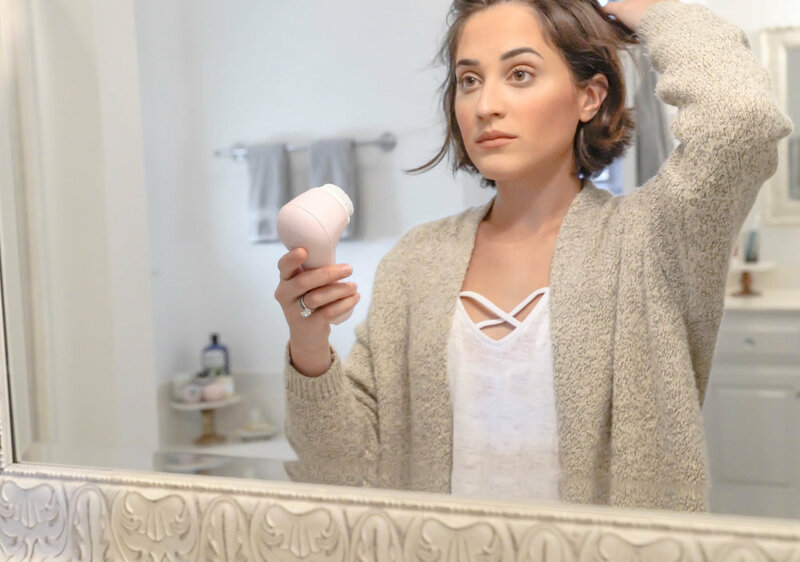 how to use your new clarisonic? o n e || Wet your skin and the brush head with warm water. t w o || Liberally apply cleanser to your skin or to the brush head. f o u r || Gently move the brush head in small circular motions, beginning on the forehead, then moving to the nose/chin area and the cheeks. Let the device gently glide over skin – no need to press down. f i v e || The device will automatically shut off after one minute. how to care for your brush heads? So I'm curious to know how many of y'all use a Clarisonic? I want to know your experience with Clarisonic, too. If you haven't tried one yet, are you interested in trying one? And as always, if you have any questions about any of the products listed above, please let me know! 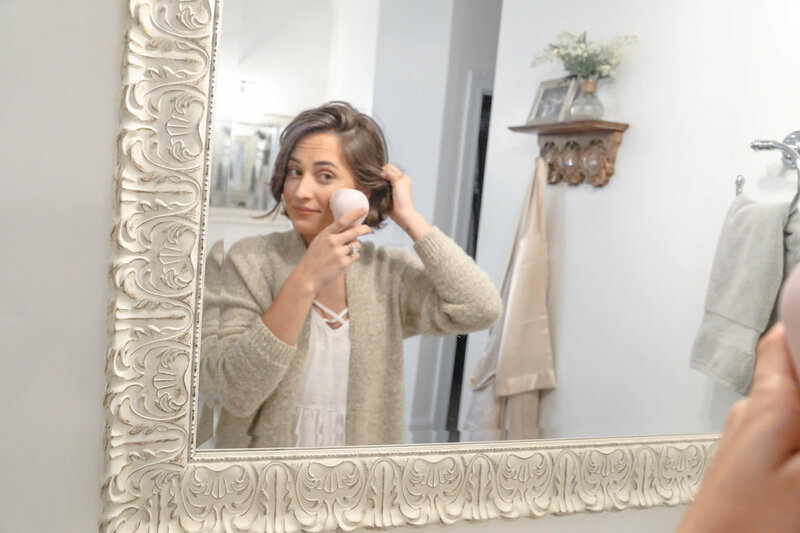 I know if you give Clarisonic a try, you will love it!